I’m told the atmosphere is climate-controlled, and maintained at precisely 15deg C.
Business is booming, with 130 cars here in London and about the same again at Windrush’s other facility, which is in the Cotswolds. It’s given a health check and valeted, with a protective treatment wiped over the interior. Then it’s parked in a dedicated bay, its tyres inflated to 50 PSI, the battery connected to a trickle charger, and put under wraps until you fancy a drive. They call it ‘the Batcave’ because of the amazing cars it contains, and because you could be standing within two feet of it and not know it was there. I can’t tell you precisely where it is except that it’s in an underground car park in central London, shielded from view by thick walls. Fortunately, one of them has a door. My guide punches in the security code, the door swings open – and the Batcave’s treasures are revealed. 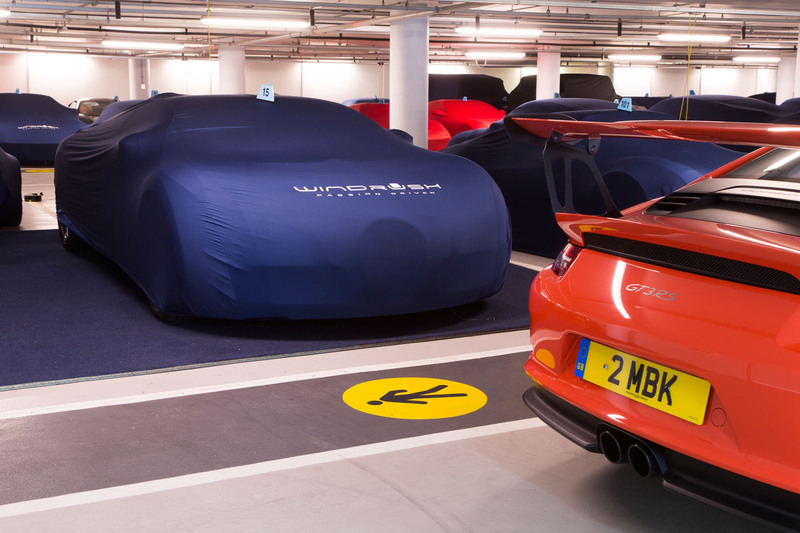 Under strip lights and standing on a spotless floor are rows of cars concealed under identical branded dust covers. I’m told the atmosphere is climate-controlled, and maintained at precisely 15deg C.
Under the covers are around 100 ultra-expensive motors including a McLaren P1, a couple of Porsche 918s, a Koenigsegg Agera, a gaggle of Ferraris including a LaFerrari, a 512 and a Dino 246 GT, seven Porsche GT3 RSs, assorted Astons including a DB3, a DB5 and a DB6, a Jaguar XJ220 and XK120, a couple of Bugatti Veyrons and some pre-war Bugattis, a Bentley 8-litre, a sprinkling of other Bentleys and some Rolls-Royces. There are also rarities including a Ford RS200, a Peugeot 205 Turbo 16, a couple of Lancia Delta Integrales, a Ford Capri 3.0S – and a Mini Metro City. Batcave? It’s a Top Trumps car park. Actually, it’s a secure storage site called Windrush, a place for car enthusiasts who don’t have room to park yet another Ferrari on the drive, or who just want to leave their XK120 in caring hands and drive it as and when the fancy takes them. 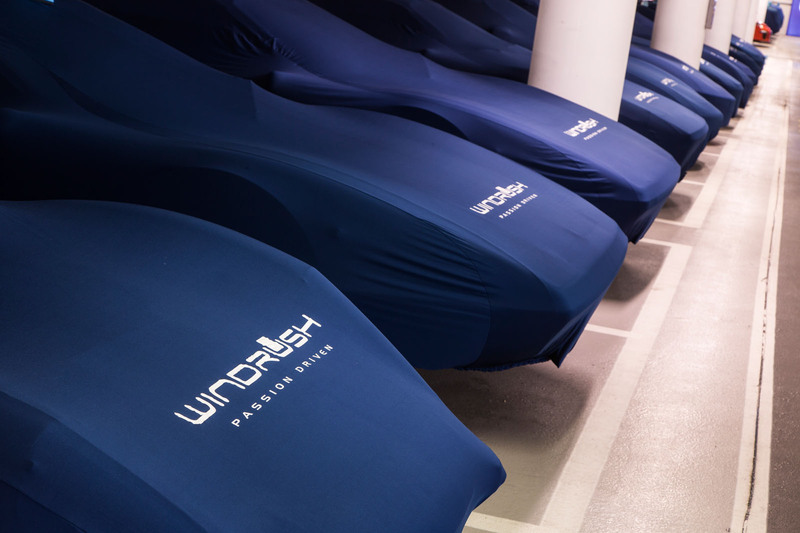 Business is booming, with 130 cars here in London and about the same again at Windrush’s other facility, which is in the Cotswolds. The London depot charges £480 a month; the Cotswolds one is £270. Your money buys more than a dust cover. When it arrives, the car is put through a 12-stage ‘induction’ where it’s photographed and any damage recorded. It’s given a health check and valeted, with a protective treatment wiped over the interior. Then it’s parked in a dedicated bay, its tyres inflated to 50 PSI, the battery connected to a trickle charger, and put under wraps until you fancy a drive. For some cars that could mean a long wait, so the battery’s status is checked every week and every 60 days the car goes on the on-site workshop’s rolling road to be run up to operating temperature. Naturally, you can’t expect just to turn up and take your car out. 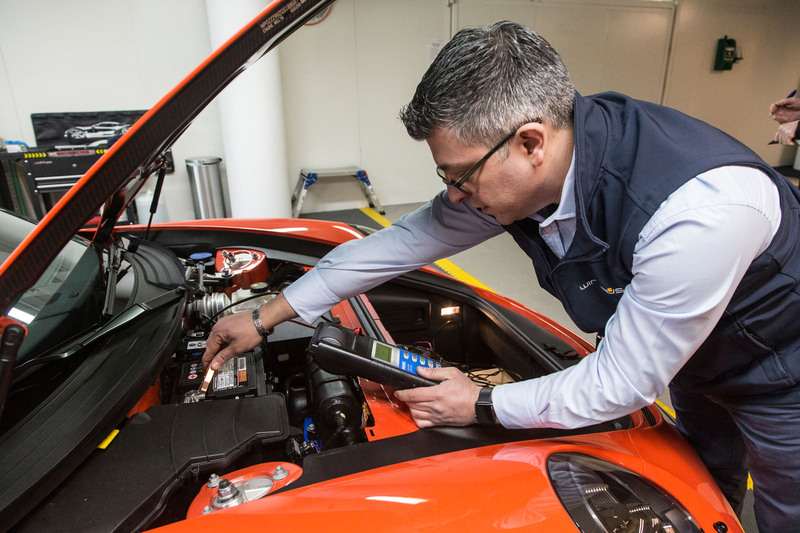 First, it has to go through a ‘departure protocol’, when lights and levels are tested, the exterior and interior prepared and the MOT and road tax status checked – and updated if necessary. Only then can you pick it up – or have it delivered. I visit on a Friday, and 28 cars are out with their lucky owners for the weekend. I content myself with lifting the corners of a few covers to glimpse alloy wheels you could eat your dinner off. It goes without saying that Windrush’s customers are that special breed they call ‘cash rich, time poor’. “Lottery winners, VIPs, celebrities…” is all the folk at Windrush will say about the firm’s clients, before revealing 1966 World Cup legend Geoff Hurst has a car here. Not German, I take it. The man behind this remarkable place is Tim Earnshaw. For five years he managed the Marlboro hospitality units used by the Ferrari F1 team. “That experience instilled in me a real attention to detail,” he says. That’s obvious, but what makes Earnshaw’s business special is that he knows deep down what it means to want the very best for your motor. Back in 1994, aged just 13, he began building a replica Morgan 4/4 on the bones of an MGB. His parents owned a farm and Earnshaw stored his work-in-progress in one of the outbuildings. Eventually he left for university but he would return at weekends to work on the Moggy. In no time, he was storing a neighbour’s Jaguar E-Type and Mk2, and another’s Mitsubishi Evo VI. Then followed five seasons with events company Procar, during which time Earnshaw got his Class 1 HGV licence and looked after the Marlboro F1 motorhome fleet. Behind the scenes he continued to develop his car storage business, rushing home to prepare customers’ cars for collection. By the time he decided to quit Procar, in 2009, he was storing 35 cars. Which is why Earnshaw recently found himself collecting a Rolls at 8pm and returning it, valeted, to the customer at 8am the next morning. And why one of his drivers delivered a customer’s Porsche 930 Turbo to Reims to save his holiday after his Ferrari 575M broke down. Now that’s car passion – a subject Earnshaw knows all about. Must be a great Job caring for all these exotica. Maybe I'm losing the plot, but somehow I find myself thinking almost £500 a month is good value! so to be fair, £270 is an absolute bargain....now I just need to convince my wife that it makes sense to keep my classic in the Cotswolds! PSI ? ! How quaint, does anyone under 60 actually use PSI nowadays ? I do, ands always have, I'm in my 40's, what is more commonly used now? My digital tyre pressure gauge and digital tyre pump both do. What do you use, kilopascals? cars are better looked after than people. Thank you. Yes, you are 100% right. The city where cars are better looked after than people. and this place just a stone's throw from the site of this week's tragedy. My sister has to find £30k funding to keep a housing association outreach centre open for another year. If she can't she may lose her job. Yet for someone else, £30k is the depreciation they incur when they drive their car out the dealership.. Incredible isn't it. There's very little to celebrate here in light of recent events.